Almost every MPU4 MPU will, be now, have been subjected to battery damage. 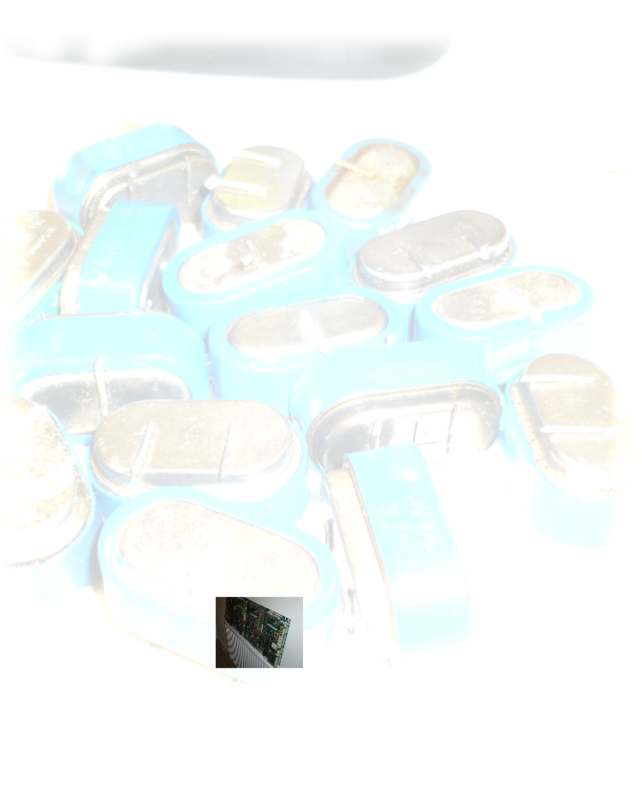 The blue Nicad or the green Nikel Metal Hydride battery will have degraded, leaked or out-gased causing damage to the pcb tracks and components in the battery area. Depending on which battery was fitted, the orientation of the MPU in the machine, the length of time the battery has been on the board and the type of MPU4 board, all determine the severity of the damage. Worse case scenario is a late MOD4 board with the light green mask and a green battery fitted. Most of the these boards are beyond economical repair as track damage can be severe. These can still used for parts to repair other boards, so don’t bin just yet. through hole connection to the reverse of the pcb, in the battery area, is maintained. Without this connection, the board will not boot. Don’t desolder the battery, cut it off initially especially while testing. Once the battery has been snipped off, the alkaline deposit from the battery needs to be neutralised. For this task, we use vinegar. so degraded by battery residue that the components actually disintegrate when vinegar is applied. This cannot be helped. Anything destroyed will have to be reconstructed and/or replaced. Once the area has been thoroughly cleaned, wash with tap water. I sometimes wash the whole board if it's black with dust, but if not, I just do the local area. One the board is clean, it must be dried. Not just dried with a cloth, it must be bone dry. I put my boards on a radiator on their edge for at least 24 hours. If the board is not dried thoroughly, the component legs will rust and you will have numerous problems when you power the board. It must be dry, totally dry! battery not charging, all are symptoms of broken tracks. They will all need to be traced and repaired. Use a fibre-glass pencil to clean component legs and clean pcb tracks. You must remove all the crud from the pcb. Buzz out the tracks with a meter to check there are no breaks. (Be thorough, it’s easy to get complacent and miss a broken track). A new battery is a 2.4v NiMh - they cost about £5 to replace.